Rents in most capital cities continue to rise (with Perth and Darwin bucking the trend), with falling vacancy rates indicating an ongoing shortage of rental properties — according to the March Domain.com.au Rental Report. 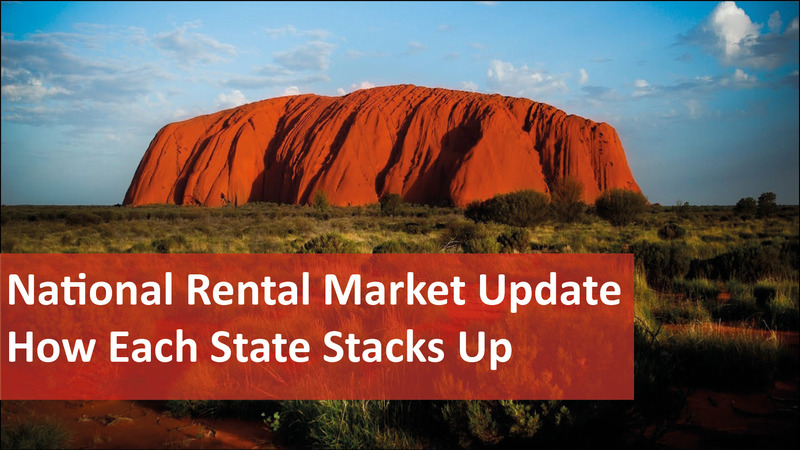 Unit rents increased in Sydney, Melbourne, Brisbane, Hobart and Canberra over the March quarter, remaining at record levels despite the recent national apartment building boom intending to provide more available rental stock to capital city markets. Despite the recent influx of home building, we can expect to see upward pressure on both house and unit rents in most capital cities continuing in the foreseeable future. However, the clear exceptions to strong capital city rental markets are Perth and Darwin. Rents in these cities continue to fall reflecting the impact of the downturn in the mining boom and the end of the significant rental demand driven largely by a FIFO workforce. The median weekly rent fell by 11.1 per cent over the past year and is now $400 per week. Unit rents were steady over the March quarter following seven consecutive quarters of declines. Despite this quarter’s steady result, Perth unit rents have fallen by 9.1 per cent over the past year with both house and unit rents at their lowest since the March quarter in 2012. Perth vacancy rates increased over March and remain the highest of all the state capitals. On the plus side it’s good news for tenants in Perth as the median house rents continue to fall while already high vacancy rates rise. Unit rents steadied this quarter despite also experiencing higher vacancy rates. Let’s take a look around the rest of the country. Any relief felt by tenants due to the fall in median unit rents in the previous December quarter proved to be short-lived, with the Sydney housing market median unit rents increasing sharply over the March quarter. The median unit rent was recorded at $520 per week, closing in on the $530 median weekly rent for houses. Sydney unit rents have now increased by 4 per cent over the past year – second to Melbourne for annual growth. Weekly median prices for houses remained unchanged over the March quarter, however, have increased by 1.9 per cent over the year. Despite the significant numbers of new apartments entering the market, Sydney unit rents bounced back this quarter with a sharp 4 per cent increase in the median weekly rental. This increase offers no relief for tenants with house rents remaining at record highs and already low vacancy rates continuing to tighten. Melbourne housing market median weekly unit rentals increased to $380 over the March quarter, reflecting a 4.1 per cent annual increase – the highest unit rental growth rate of all capitals. Melbourne house rents consolidated at the record $400 per week, an increase of 2.6 per cent over the year. Vacancy rates for houses remain tight with unit vacancy rates now falling despite the recent surge in new supply. It has been a positive quarter for investors in Melbourne with unit rents now rising to record levels and vacancy rates falling, despite an unprecedented new apartment boom. Melbourne house rents remain at peak values as well, with low vacancy rates indicating no relief in sight for tenants. Rent in Brisbane increased over the March quarter to a new record of $410 per week – the first rise recorded since the September quarter 2013. In a double blow for tenants, Brisbane unit rents also increased over the quarter, rising to a new peak of $380 per week.House and unit rents increased by 2.5 per cent and 2.7 per cent respectively, over the past year. Despite recent rent rises, Brisbane vacancy rates remain reasonably balanced with unit rates tightening 0.1 per cent over the March quarter. Brisbane tenants in units and houses have experienced rising rents, with both at record highs. Vacancy rates do remain reasonably balanced, however, with some slight tightening for units in the March quarter. Unit rents in Adelaide remained steady over the March quarter at $290 per week and have now remained unchanged for 18 months. Vacancy rates were also steady over March but remain tight for both units and houses. House rents in Adelaide continued to increase, rising for the second consecutive quarter to a new record median of $360 per week – up 2.9 per cent over the year. Adelaide house rents continue to rise, however, unit rents have remained steady over the past year, offering a lower cost alternative for tenants. While house rental rates have risen, Adelaide’s vacancy rates remained low and steady over the quarter and have increased year on year. Rent in Hobart has continued to rise over the March quarter reflecting the shortage of rental accommodation. House rents rose to a new record of $350 per week – a strong increase of 6.1 per cent over the year and the highest growth rate of all the capitals. Hobart unit rents also increased to a new record of $285 per week with a yearly rise of 1.8 per cent. Hobart house vacancy rates fell again over March and remain the lowest of all the capitals indicating further rent rises are likely. While Hobart remains the most affordable capital city rental market, rents continued to increase through the March quarter. Although unit vacancy rates eased marginally overall, vacancy levels remain the lowest of all the capitals indicating further rent rises may be in the pipeline. Canberra median rents increased over the March quarter with house rents reaching $470 per week, while unit rents were up at $395 per week. House rents increased by 4.4 per cent over the past year with unit rents up by 1.3 per cent. Canberra vacancy rates remain very low for both units and houses indicating the potential for further rent increases over the near-term. No relief this quarter for Canberra tenants with rents for both houses and units increasing. Although vacancy rates held steady they remain very low, indicating the likelihood of future rent rises in Canberra. Darwin again continued sharp rental declines in the March quarter with house rents down to $550 per week and unit rents falling again to $450 per week. Darwin house and unit rents have fallen steeply over the past year down 15.4 per cent and 13.5 per cent respectively – the largest decline of all the capitals. Similar to Perth, Darwin rents are at their lowest since the March quarter 2012. High and rising house vacancy rates indicate continued pressure on investors, however, early signs are emerging that high unit vacancies may be moderating. Darwin rents continue to fall at the fastest rate of all the capitals, with the recent sharp market correction likely to continue as indicated by high and rising vacancy rates. Although housing rental vacancy rates remained low in most Australian capitals throughout the March quarter, falling vacancy rates in many capitals indicate an ongoing and deepening shortage of rental properties. National capital city vacancy rates were steady at 2.1 per cent for houses but fell slightly for units to 2.3 per cent, with overall dwelling vacancies remaining at 2.2 per cent. Perth and Darwin have the highest house vacancy rates, sitting at 3.7 per cent and 2.6 per cent respectively, while Hobart has the lowest house vacancy rate at 0.7 per cent, closely followed by Canberra at 0.9 per cent. Gross rental yields for investors remained relatively steady over the March quarter reflecting ongoing subdued price outcomes in most capitals. Hobart provides the highest gross returns for houses at 5.6 per cent and rising sharply, with Sydney offering the lowest stable at 3.3 per cent. Yields for units, however are generally rising reflecting recently increasing rents and weaker price growth. Again, Hobart has the highest rental return at 5.6 per cent with Sydney recording the lowest at 4.1 per cent. Not sure if you’re getting the most out of your investment property? Contact We Love Rentals® to experience property management with passion.